Located in the tranquil South Leicestershire countryside between Stoneygate, Oadby, Evington and Stoughton. Dermacare Advanced Skincare offers the latest non-invasive skincare treatments to target specific skin concerns such as pigmentation, premature ageing, acne and oily skin, sensitivity and redness, scarring, skin tone and texture. Our advanced skin treatments are results driven using professional Cosmeceutical skincare products to treat common facial skin conditions and contain active ingredients that have been scientifically proven to work. 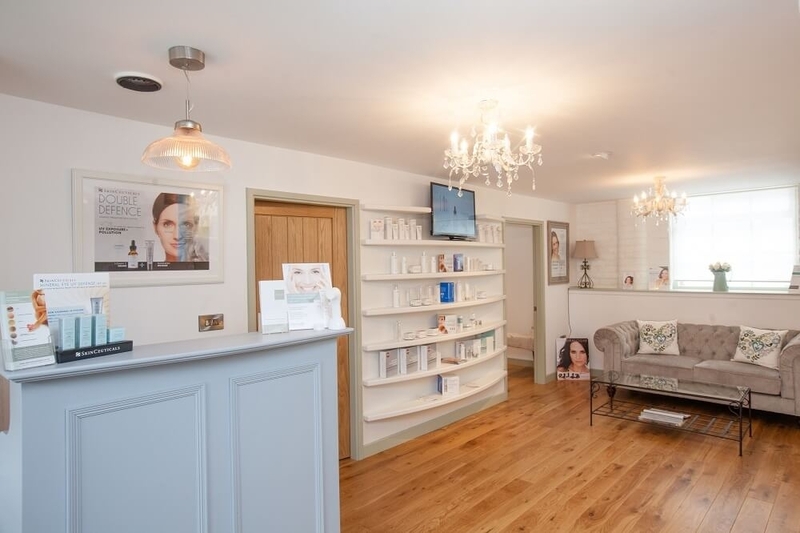 Our wide range of cosmetic treatments includes advanced facials, peels, Genuine Dermaroller™ and advanced cosmetic treatments. Fast, effective and safe removal of skin imperfections - Thread Veins, Spider Naevi, Cherry Angioma's, Milia, Skin tags, Seborrhoeic & Common Warts. 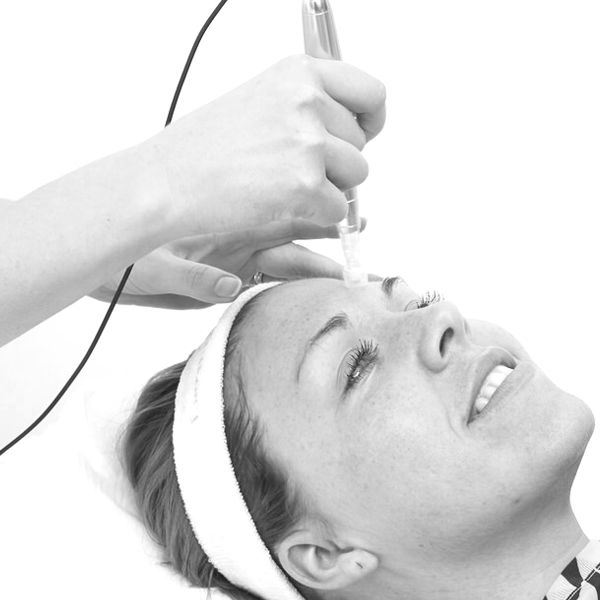 Advanced Electrolysis uses a Short Wave Diathermy electrical current. The current used is safe with a localised effect being achieved in the target tissue. CryoPen™ is a FDA and CE registered advanced treatment that uses liquefied N20 to deliver quick effective results. Catherine, has been a Qualified Nurse since 1998, and specialises in Non Surgical Treatments for Facial Lines and Wrinkles. Botox (Botulinum toxin) injections are used to help the effects of ageing and reduce fine lines and wrinkles. Dermal fillers are used as an effective treatment for deep lines and facial wrinkles. They can help reduce deep lines and wrinkles, fill hollows and smooth the contours of your face. eDS™Skin Rejuvenation provides advanced, electronic, micro-medical skin needling. A procedure that stimulates the skin to regenerate and repair itself naturally and safely, creating SMOOTHER, BRIGHTER, YOUNGER and healthier looking skin. Carefully curated to rejuvenate the skin while providing you with a supremely relaxing experience. With a wide range of Medik8 peels ranging from superficial to medium-strength, there is a treatment for every skin type and concern. Jan Marini Skin Research (JMSR) is a leading manufacturer of clinically validated skincare and aesthetic products for the professional marketplace. JMSR is known for creating breakthrough product solutions and dramatic technological advancements. With both lipid soluble Vitamin C and DMAE to boost collagen production, repair free-radical damage, and enhance facial tone, the C-ESTA Facial will provide instant visible results. Skin will appear smoother, brighter, suppler, firmer and lifted with a more defined facial contour. The Proteolytic Enzyme Facial is a scientifically based method of effective exfoliation and skin resurfacing. The term proteolytic refers to an enzymatic reaction that can digest dead or diseased skin cells without harming normal living healthy cells. Customers will see an immediate improvement in skin texture and clarity, with skin appearing smoother and more refined. – Sun Damage, Fine Lines and Wrinkles, Enlarged Follicles, Acne, Coarse Texture and Hyperpigmentation. This Glycolic Resurfacing treatment resurfaces and clarifies skin texture, minimises the appearance of fine lines and wrinkles, fades the appearance of discolouration to even skin tone, and assists in resolving acne. – Addresses Sun Damage, Fine Lines and Wrinkles, Enlarged Follicles, Acne,Coarse Texture and Hyperpigmentation. The Glycolic and Enzyme Resurfacing is an accelerated facial treatment that incorporates two effective topical exfoliants. The combination of Glycolic acid and Proteolytic enzymes safely intensifies the resurfacing action and provides measureable results for virtually any skin type. This treatment resurfaces and provides skin refining effects for greater smoothness and hydration, and will assist in helping to minimise the appearance of fine lines and wrinkles, acne, sun damage and hyperpigmentation. – Addresses Hyperpigmentation and Facial Discoloration. The Luminate Resurfacing treatment is designed to brighten facial skin and encourage the uniform appearance of even stubborn facial discolouration. Luminate contains two exceptional topical agents that address the appearance of facial discolouration, and are combined with Retinol, a potent anti-ageing tool. This resurfacing treatment utilises a high concentration of glycolic to lift the appearance of pigment and aggressively resurface the skin. The brightening facial combines vitamin C with other naturally brightening ingredients, to reveal a healthy glow as it gently removes dull skin cells to create a more radiant complexion. antioxidants that serve to draw out impurities and to stop bacteria spreading. A multi-acid peel that treats problematic skin.